There have been thousands of tributes and stories posted today regarding the passing of Blues great B.B. King. Likely a tribute from someone outside the popular music industry will go unnoticed. One from a classical music conductor and college educator is certainly apt to be lost in the shuffle. But considering his legacy today, I am nonetheless inspired to write a few thoughts about how a musician like B.B. King can serve as one of the best teachers for musicians of any genre. Certainly there is no need here to list the myriad of accomplishments and influences that Mr. King had on the music industry for the past 60+ years. And while, King lacked the movie-star looks of Elvis Presley or the blazing technique of Jerry Lee Lewis, I’d argue that he has perhaps had more influence worldwide and across a broader spectrum than his more flashy colleagues. Blues, jazz, country and rock musicians regularly mention how influential he was to the development of their individual style. His electrifying presence was felt on the music itself. What B.B. King had, and the reason every musician should listen to his playing, was an ability to communicate. Not with outer charisma or flashy stage presence, but through musical gesture. With music. Through music. And for music. His innovation lies in his ability to play chamber music, the most useful skill any musician can have. It is instructive to listen to B.B. King play alongside other great musicians. But perhaps it is more enlightening to realize that he had the unusual ability to play chamber music with himself. One of his trademarks was, of course, his guitar and her namesake song, Lucille. The personal approach to every note provided B.B. King the ability to have a conversation with himself, not merely accompanying himself, but improvising a conversation and developing a story though music. But can classical musicians can also learn from this approach? A former Associate Concertmaster with the Utah Symphony and violinist with the Boston Symphony, and respected music teacher Gerald Elias thinks so. His social media post this morning gave clear instructions to his students. And as a respected author as well, Jerry knows a thing or two about communication. Sure, B.B. King was just playing basic blues scales, and altering them in interesting ways. But he was also making new music with each riff. Composing on the fly. A lively, rapturous creation with each progression. Though he was playing the Blues, one can hear the joy bursting forth. Can a classical violinist do the same in a series of Carl Flesch Scale Studies, or perhaps use it as inspiration to devise a new cadenza for a concerto? Can the very methods that B.B. King perfected be used to open a new energy in classical performance while staying true to the roots of our traditions–just as King did with the Blues? I’d have to say it is worth a shot. Apparently, so do others. Yo-Yo Ma has branched out, as has Joshua Bell, Richard Stoltzman and many others. Their results have been quite attractive. And now they provide a new thread for us to experience. We must listen with discernment to all of the greats, all traditions, whatever the style may be. New possibilities lie just around the corner. I never had the good fortune to hear B.B. King live. As close as I got was eating at his place in Memphis (see picture above). His music has inspired me to listen deeper, more critically and more joyfully. And thankfully, he leaves that legacy for all of us through his music. Now it’s our turn. Thanks, Mr. King. Rest in Peace. They don’t pay me enough to do that. I’m an ARTIST. I shouldn’t have to be involved in THAT. While we are busy complaining about why we shouldn’t get involved in our own professional world (and watching news coverage of other events we are happy to be removed from) it is instructive to remember that some people are faced with a much different reality. For some, the choice of whether or not to get involved is a response beyond a personal need, and in fact produces far greater benefit. Many of us seem to enjoy quibbling at the minutiae of our careers; things we can’t really do much about, like the temperature of the concert hall stage or less than ideal acoustics. We should remember, however, that we often do so from the comfort of our own complacency. Complaining about things and shifting blame is arguably human nature, but it also has become something we mindlessly aspire to in our comfortable lives. 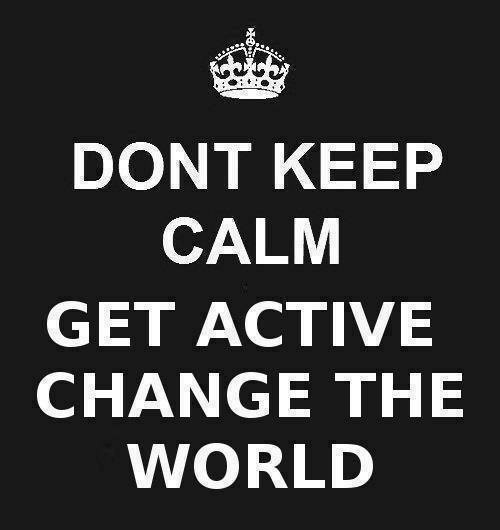 Actually doing something positive about a problem is an apparent rarity. Kudos to the Baltimore Symphony and conductor Marin Alsop for doing something this past week. They took a step towards healing amidst a volatile situation in Baltimore. 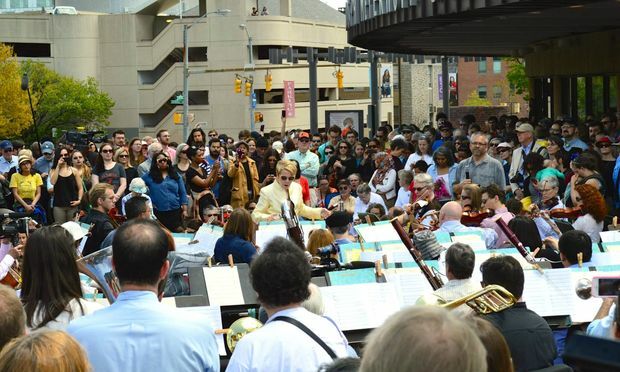 Alsop and the BSO provided an outdoor concert for the city, just a few days after the unrest began. They did something for the community. No telling how effective it was, but it certainly was a statement in the right direction: Things that truly matter will continue. The citizens responded with enthusiasm. 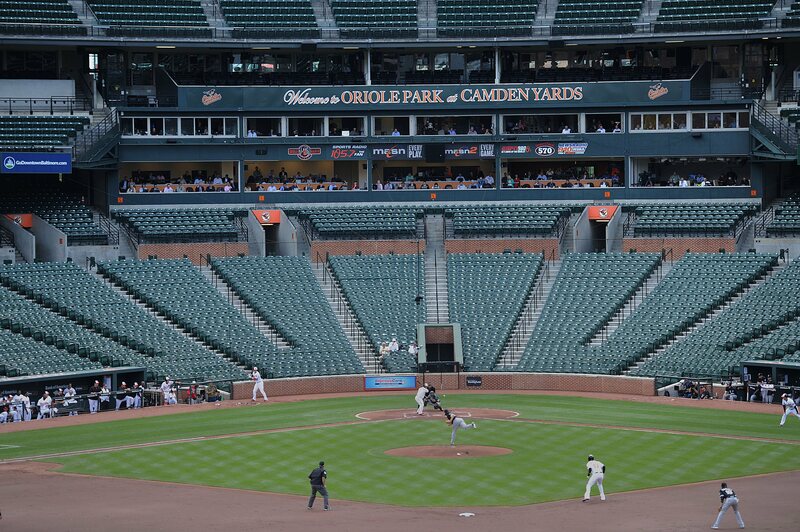 (I might add, with better attendance than professional sports). We are fortunate that so few of us need take real risks to make an artistic statement. My colleague, Karim Wasfi, has been faced with the question of how to take action in his particular reality. Maestro Wasfi is the conductor of the Iraqi National Symphony Orchestra and is a professional cellist. In the face of very real, life-threatening danger, Karim and others like him continue to make affirmations about what is truly worthy, thus insuring that the concepts of humanity and beauty remain a part of the conversation. Maestro Wasfi, not one to back away from the challenge of presenting classical music in a war-torn country, has made an effort to not be cowed by the threat. While he is undoubtedly careful, surely a survival trait in such a place, Wasfi does what every maestro and musician should do: insure beauty exists in the world. Whatever it takes. Responding to conflict with music. History is seemingly repeating itself. Music as Action in Iraq. Music as Action in Baltimore. Now let us question why we are not doing the same in our relatively safer communities. The opportunity for leadership surely exists. As does the talent. And, I’ll wager, the need.